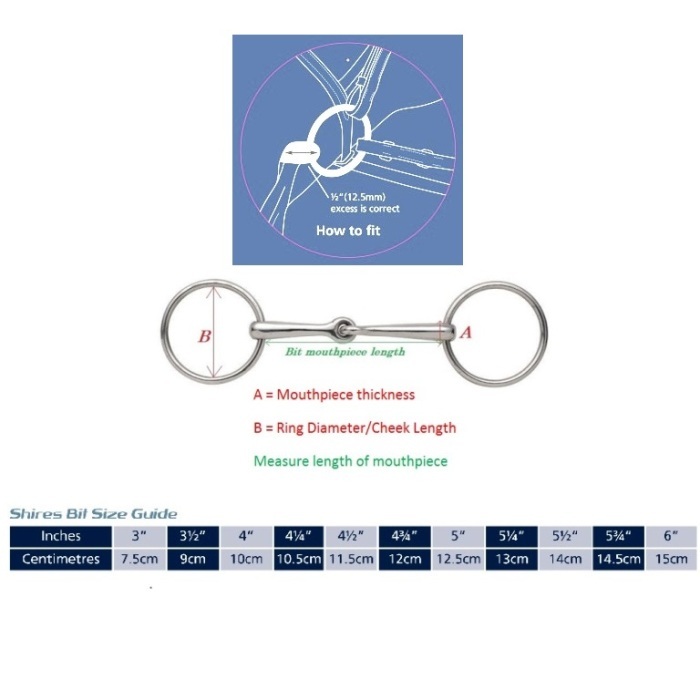 The Copper Lozenge mouthpiece Two Ring Gag (lever) Bit from Shires Equestrian allows the rein to be placed on either the main ring for a general snaffle action. Using reins placed on the lower or smaller ring for more control by creating pressure on the poll and mouth by way of a lever action which encourages the horse to lower the head and neck. The copper lozenge encourages the horse to salivate. Sizes Available 4.5", 5", 5.5" and 6". Measurements: A = 16mm, B = 115mm for 4.5" & 5", B = 145mm for 5.5" & 6"